A man has been charged with murder after a 26-year-old woman was found dead in a flat. The body of Lala Kamara was found in Denton Court, Denton on Saturday night, Greater Manchester Police (GMP) said. Mustapha Dia, 21, of Denton Court, Denton, has been charged with murder and appeared before Tameside magistrates earlier. 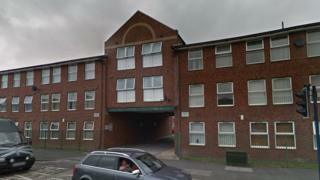 He was remanded in custody ahead of an appearance at Manchester Crown Court on Friday. A GMP spokesman said a second man who was held on suspicion of murder has been released with no further action.